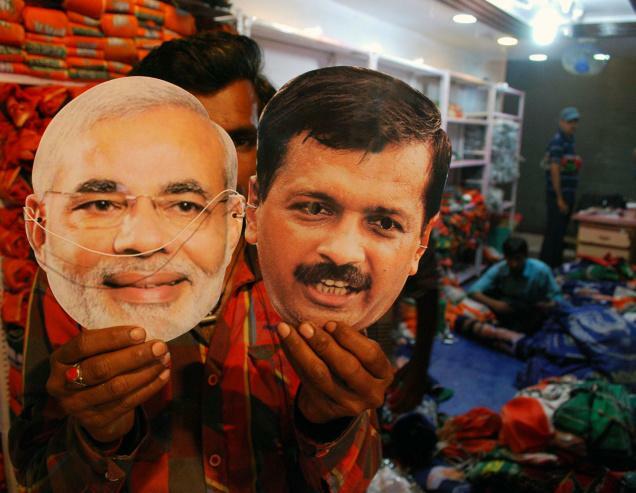 Home Politics Hindustan Times Editor Accused Of Spying On Kejriwal Govt For Modi? “Everything is Fair in Love and War”. But when it comes to Politics, it gets nastier. Delhi chief minister, Arvind Kejriwal, has just demanded an immediate sacking of senior Hindustan Times journalist after he was accused of spying on Kejriwal ‘s elected government in the national capital at the behest of the Centre’s BJP led government. In a shocking revelation, it has emerged that the executive editor of The Hindustan Times, Shishir Gupta, had allegedly acted as a conduit for the Centre to spy on Delhi’s Arvind Kejriwal government. The revelations made in a cover story of The Frontline magazine, state that Gupta, always perceived to be close to the BJP government, had written to the BJP national president Amit Shah and Officer on Special Duty (IT) in the PMO, Hiren Joshi on 28 March 2015. This was barely a month after the Aam Aadmi Party had registered a resounding victory in Delhi by cause a near annihilation of the saffron party. To cite example of violation, Gupta wrote that how Kejriwal government was now planning to route files concerning public order, the police and land through the Chief Minister’s Office before they are sent to the LG’s office and this issue appears to have brought the turf battle into the public domain. Curiously, the LG Najeeb Jung later asked Kejriwal that the files from senior bureaucrats be sent directly to him. The content of Gupta’s email did not appear to be an attempt to seek a response from Shah or Joshi. It appeared more like an exercise to keep Shah and Joshi to updated on the Kejriwal government’s plan. In another coincidence, just few days later, Hindustan Times carried a front page story with Gupta’s byline on 1 April New Delhi edition of HT. Gupta has denied the allegations and said that the email “contains the outline of my then proposed story” and that it was written in the form of “conclusions” to seek “comments and response of PMO and the BJP party president” for writing a news story. Gupta’s denial aside, the PMO, it seems, took his mail very serious and reportedly ordered actions as the subsequent event demonstrated. On 31 March, the PMO’s top official, Nripendra Misra, reportedly called Anant Kumar Singh, Additional Secretary (CS) in the Home Ministry, to his office and sought a “factual report” on Gupta’s email email in less than five days. The correspondence was marked urgent.